Twelve people have walked on the moon, but only one man has ever, or will ever, walk in the immense void between the World Trade Center towers. This is the story of that man, Philippe Petit, who pulled off the daring and dangerous stunt back in the 1970s. 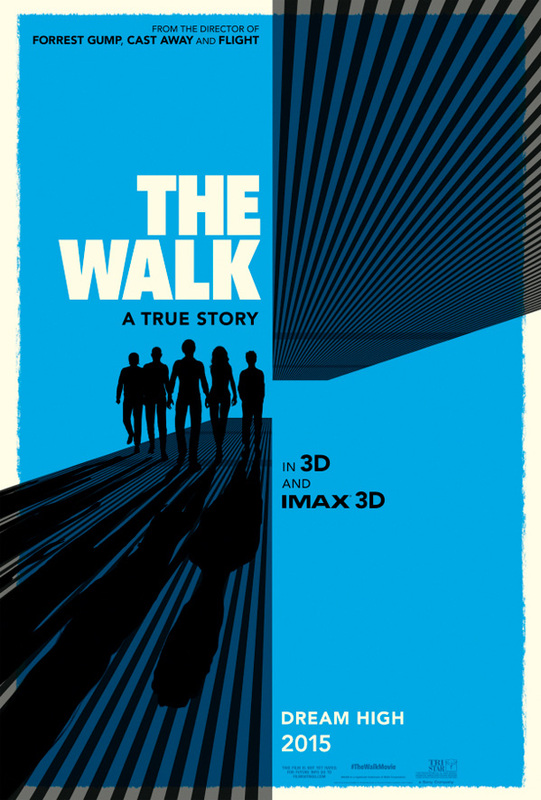 Joseph Gordon-Levitt takes the starring role in the story that was chronicled in the documentary Man on Wire, but this time it's director Robert Zemeckis dramatizing this infamous tale in The Walk. Beginning with a magnificent opening shot, and sticking with the top of the towers for this teaser trailer, this should be something to behold in IMAX 3D theaters. Watch! Guided by his mentor, Papa Rudy (Ben Kingsley), and aided by an unlikely band of international recruits, Philippe Petit (Joseph Gordon-Levitt) and his gang overcome long odds, betrayals, dissension and countless close calls to conceive and execute their mad plan to walk in the immense void between the World Trade Center towers. James Badge Dale, Ben Schwartz, Charlotte Le Bon, Clément Sibony and César Domboy also star in The Walk, directed by Robert Zemeckis (Back to the Future, Cast Away, Forrest Gump), and shot using innovative photorealistic techniques and IMAX 3D wizardry. The film arrives October 2nd, 2015. Me too! I actually got nauseous. Epic! same here...really unnerving shots...loved it! This is cool. Man on Wire was a great documentary (I highly recommend it, whether you plan on seeing this film or not. It's on Netflix and Amazon Prime for those who have it). Obviously, the most poignant part of the whole story is that we know what is going to happen to these majestic towers, and it makes the central theme of the story, which is celebration of life, all the more powerful. ...but why make this when the documentary speaks for itself? Strange. Lovely shots, but strange to consider for a film adaptation. Ah yiss. Right up my alley. DIG!!!! Fantastic! - I want to see it for sure. I'm happy they listed Flight, Cast Away and Forest Gump, those are my three favourites of his movies. Love when Zemeckis does this type of movie. I'm glad to see Zemeckis has continued to stick with live action. Thanks Robert.